Lightning in Alpine regions is associated with events such as thunderstorms, extreme precipitation, high wind gusts, flash floods, and debris flows. 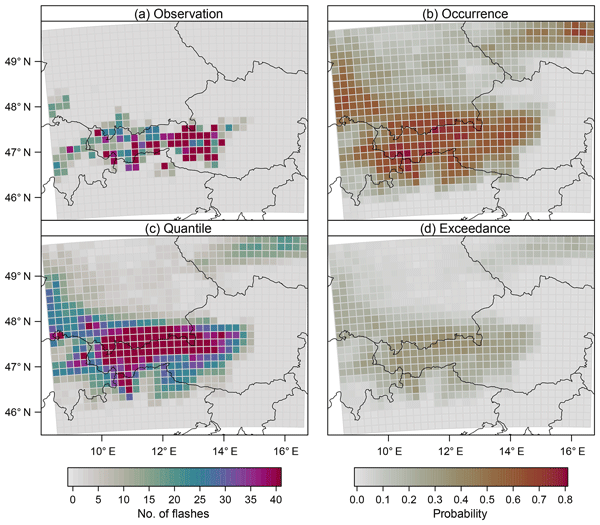 We present a statistical approach to predict lightning counts based on numerical weather predictions. 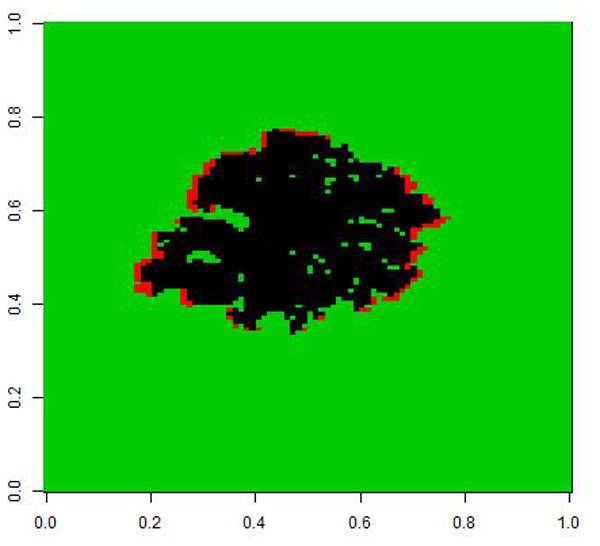 Lightning counts are considered on a grid with 18 km mesh size. Skilful prediction is obtained for a forecast horizon of 5 days over complex terrain. 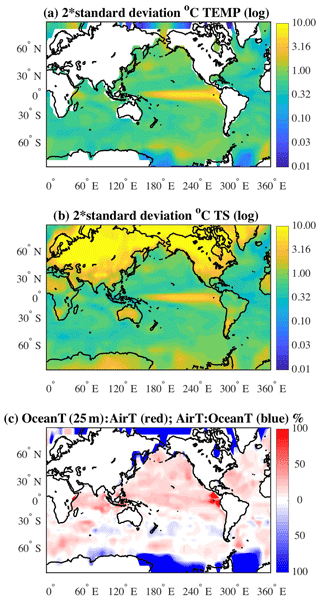 As an example of how to robustly determine climate model uncertainty, the paper describes an experiment that perturbs the initial conditions for the ocean's temperature of a climate model. A total of 30 perturbed simulations are used (via an emulator) to estimate spatial uncertainties for temperature and precipitation fields. We also examined (using maximum covariance analysis) how ocean temperatures affect air temperatures and precipitation over land and the importance of feedback processes. 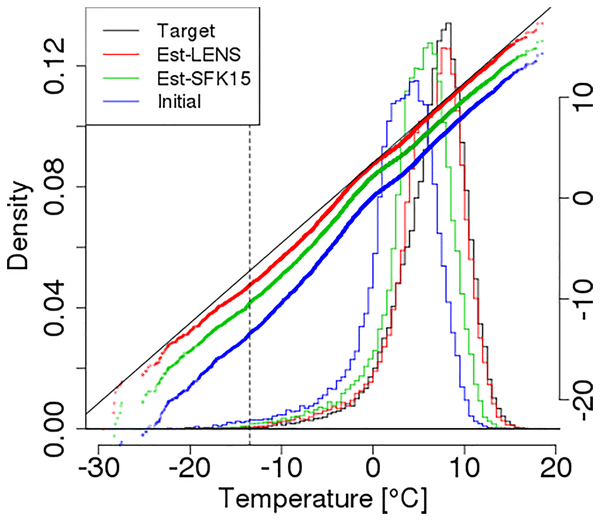 This work uses current temperature observations combined with climate models to project future temperature estimates, e.g., 100 years into the future. We accomplish this by modeling temperature as a smooth function of time both in the seasonal variation as well as in the annual trend. These smooth functions are estimated at multiple quantiles that are all projected into the future. We hope that this work can be used as a template for how other climate variables can be projected into the future. This paper presents the analysis of data from small-scale laboratory experimental smouldering fires that were digitally video-recorded. The video images of these fires bear a resemblance to remotely sensed images of wildfires and provide an opportunity to fit and assess a spatial model for fire spread that attempts to account for uncertainty in fire growth. We found that the fitting method is feasible, and the spatial model provides a suitable mathematical for the fire spread process.